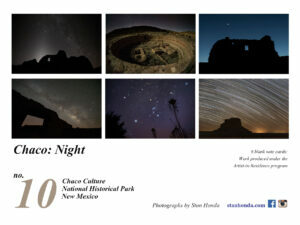 Images of Chaco Culture National Historical Park in a package of 6 blank note cards with envelopes. Each card with a different celestial photo. Size: 4 x 5.5 inches, with envelopes. 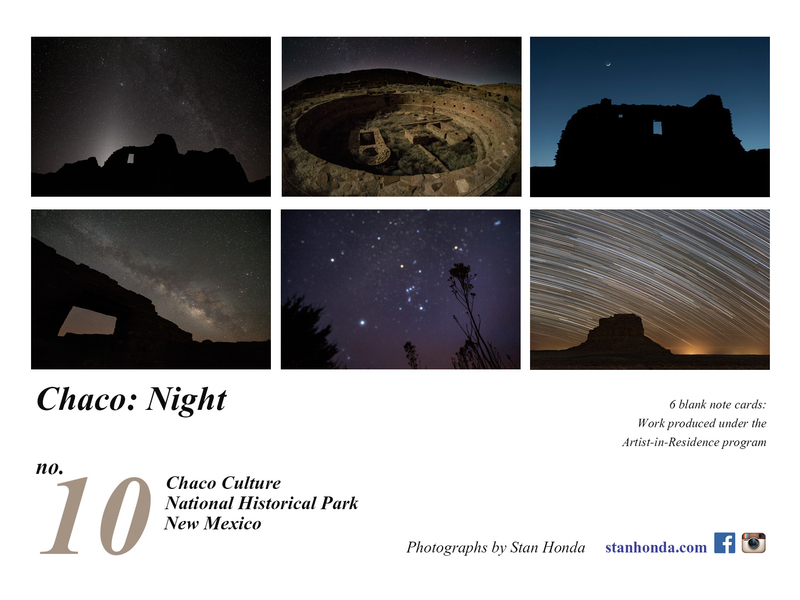 (Click to enlarge photo) Images of Chaco Culture National Historical Park and the starry cosmos on photographic quality note cards, 4 inches by 5.5 inches with envelopes. Photographed under the National Park Service artist-in-residence program in March 2016.